Now that you have had a chance to see what we can do with a Joomla template via our Template Club, we would like to show you some of the customizations that we have done for our clients. Below you will find three examples of ways we can take a template and customize it to fit perfectly with our clients specific needs. 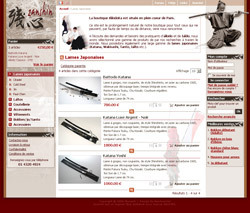 The Musashi template was customized to compliment this martial arts website a dual purpose. The first purpose and entry point was directed towards the Aïkido's world and the second point of entry was for the trade of Japanese swords. 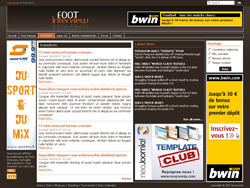 Sports Web design has been adapted for a french website on Football news. 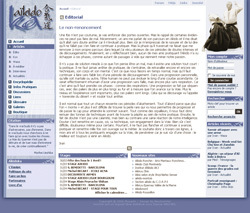 For more information on the templates customization, take a look on our Services.